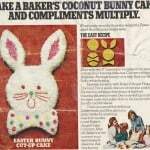 Just the sight of this Easter Bunny Cake floods back so many memories and emotions from days gone by. Our Mom used to make this every Easter when we were kids. It was truly a magical time in our household. We’d wake up to big Easter baskets, hunt for Easter eggs, and eat an amazing Easter dinner. 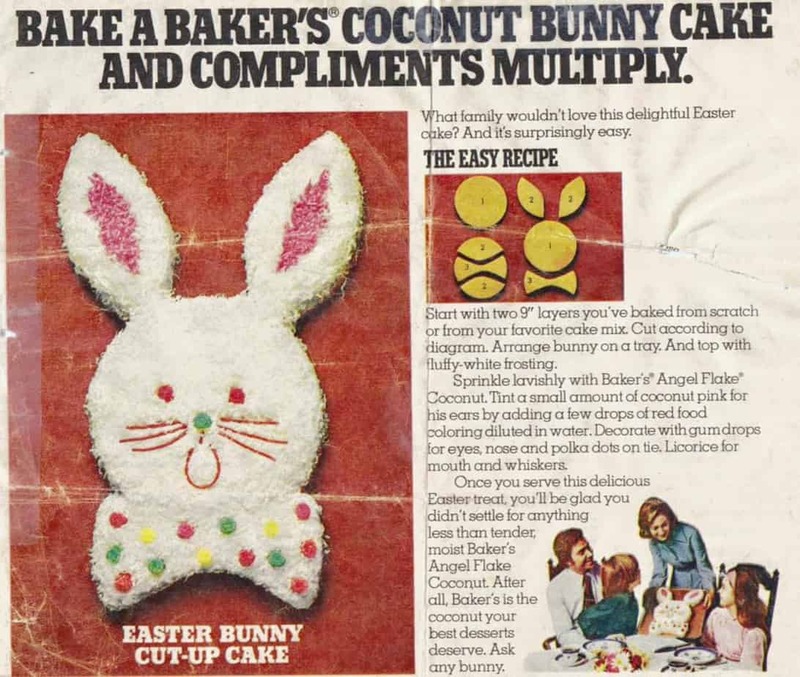 Then, finally, that long anticipated moment when Mom would walk the Easter Bunny Cake over to the table for all of us to enjoy! 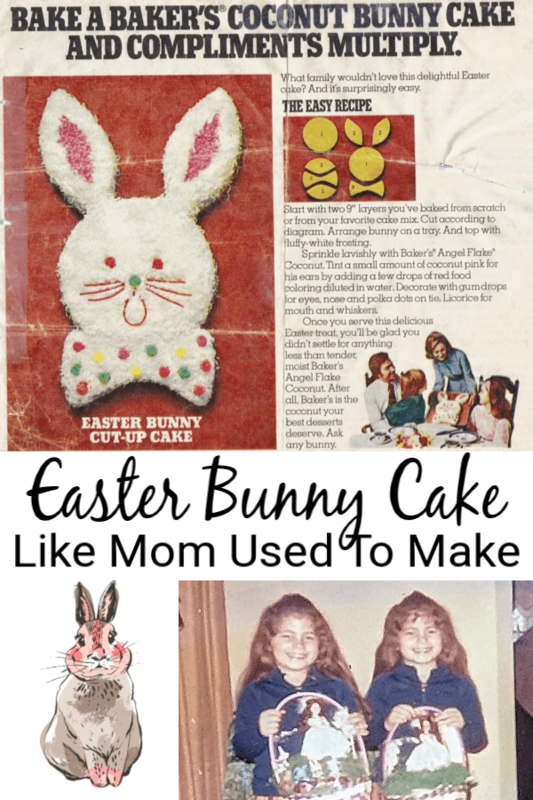 So you can only imagine my excitement after all these years, to find the original Easter Bunny Cake recipe that Mom had torn out of the Parade Magazine from The Washington Post those many years ago. Holding this piece of paper in my hands makes me think of my young Mom with 4 kids who wanted to make our Easter as special as possible. We decided we couldn’t keep this absolute treasure to ourselves, so we’re sharing it with you! This Easter Bunny Cake Recipe is surprisingly easy to make and so much fun to serve! This recipe has been passed down through the generations as a wonderful memory and testament to our wonderful mother. 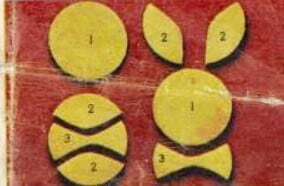 Use serrated knife to cut 2nd cake into 3 pieces as shown in diagram. Arrange on large foil-covered board or platter to resemble a bunny's head and bow tie, using small amount of Cool Whip to attach pieces to each other. Generously sprinkle cake with coconut. Tint a small amount of coconut pink for the bunny's ears by adding a few drops of red food coloring diluted in water. Decorate with gumdrops and/or or jelly beans for eyes, nose and polka dots on tie. Licorice for mouth and whiskers. 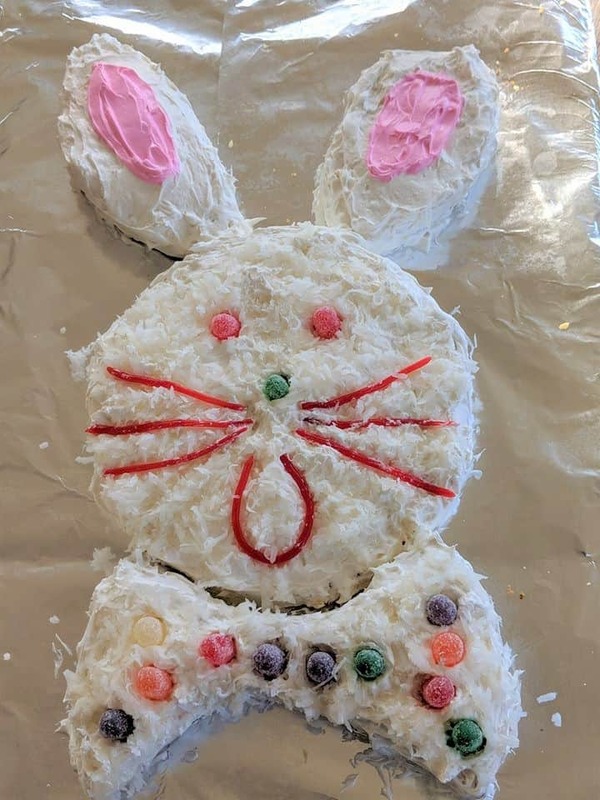 I have made this Easter Bunny Cake for my family through the years as well. The kids absolutely love it and will hopefully pass on this tradition when they have kids of their own! 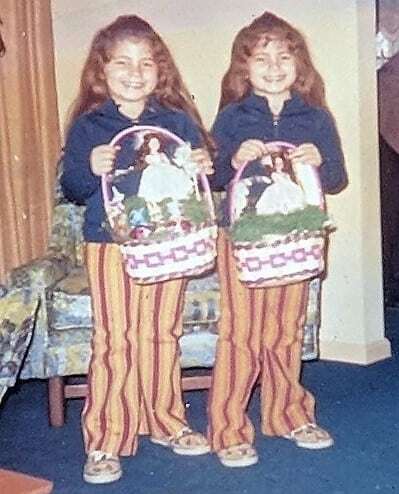 I’m having so much fun walking down memory lane and talking about Easter that I’m throwing in some other Easter related tidbits to get you in the spirit! Isn’t the image above SO vintage-y and sweet? 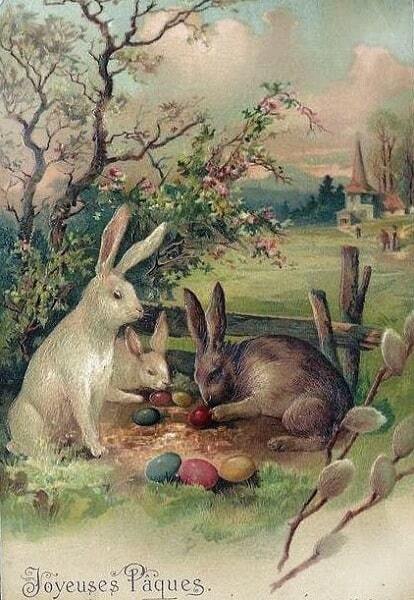 It just reminds me of being a little girl at Easter, and the excitement of Spring! This Easter Family Traditions post is a great way to get the kiddos in the Easter spirit! Does your family do an Easter tree as a tradition? This post is really fun to read through some of the traditions for some new ideas! If you’re looking for some great printables, and lots of them, This 23 Easter Printables has got you covered! I honestly don’t know how some people come up with these things – but I’m SO glad that they do! Here’s a great, Easy Spring and Easter Arrangement! Soooo prettty! And it only requires 3 items to make it! I think it would be fun to have this on the table for Easter dinner, and then put everybody’s names in a hat, and pick a winner of the centerpiece at the end of your gathering. 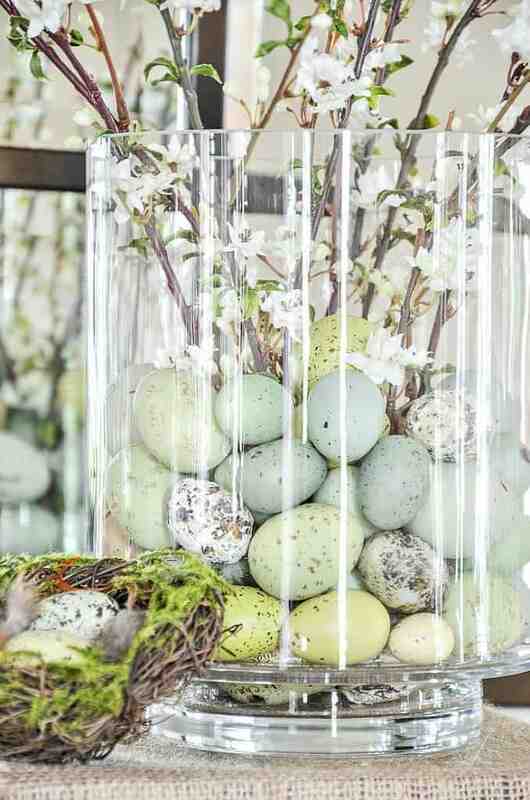 I love this Plastic Easter Egg Garland Craft! So simple, but I’ve never thought to do this! I’m tellin’ ya – geniuses these people are who think of these things! 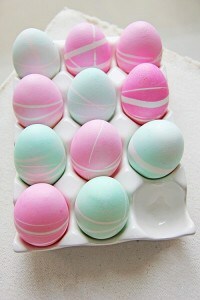 Are you looking for something new and exciting when it comes to dying Easter eggs? 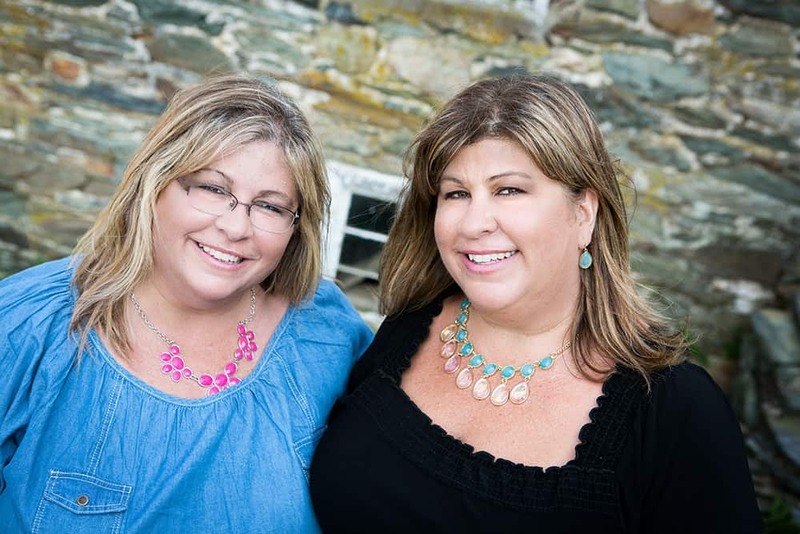 Well visit Momtastic for several ideas – the kids in your life will be amazed! More Easter egg decorating ideas can be found at Paper & Stitch, and, even more amazing decorating ideas by Karin-Lidbeck Brent! 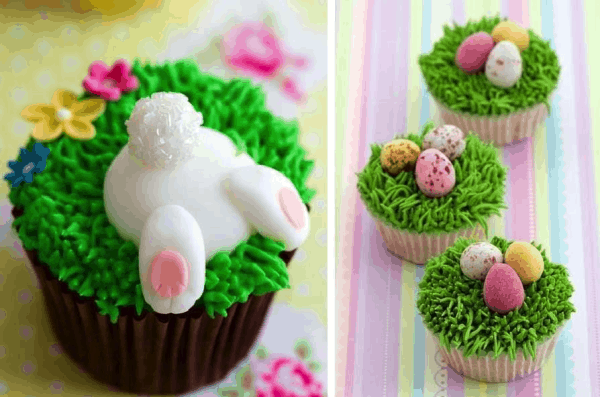 Are these not just the cutest DIY Cute Easter Cupcakes ever? They look so good and are so Easter-festive! 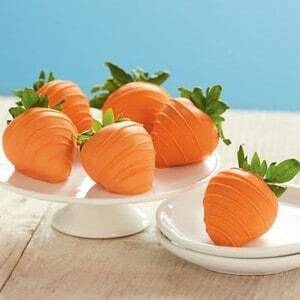 How cute are these Easter strawberries that are “dressed up” as carrots? 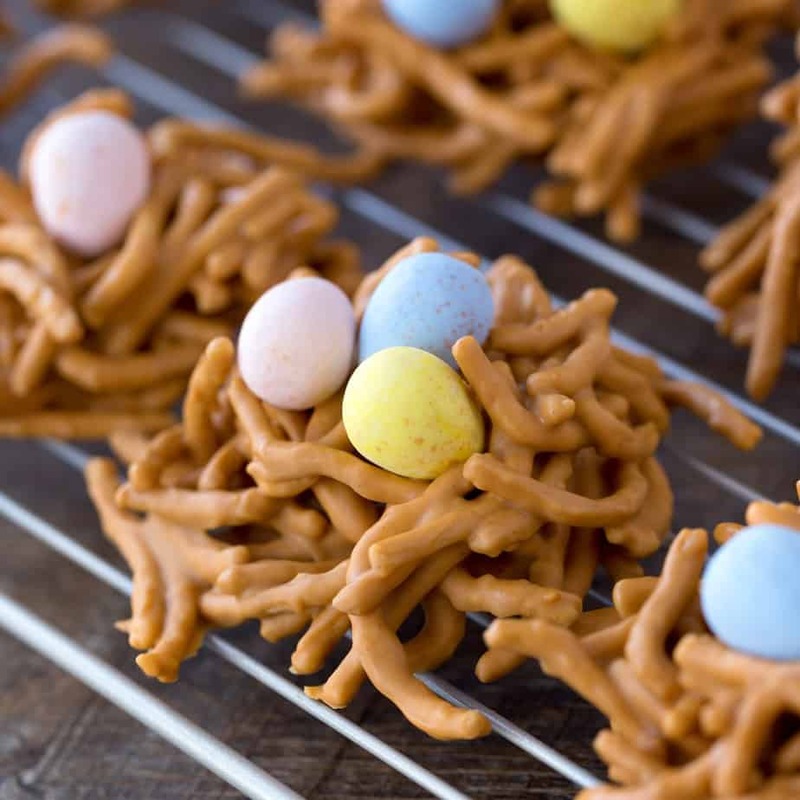 And, last, but definitely not least, these Bird’s Nest Cookies are the epitome of Spring and renewal! These cookies have a special place in my and Pam’s hearts – our mom used to make this type of cookie for us, as kids. So, I hope this has given you a little variety of ideas to make this Easter even more special. 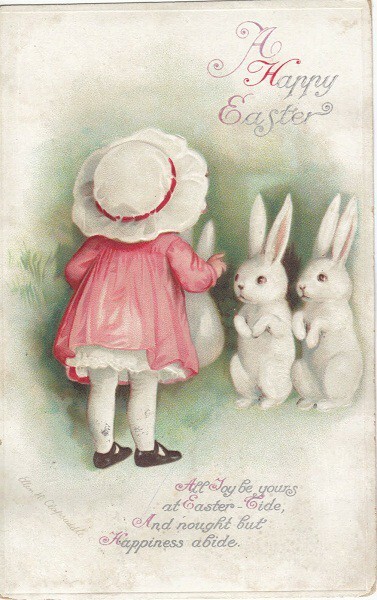 My hopes are that my family will keep it simple, remember the meaning of Easter, spend good quality time with each other, and make some memories!